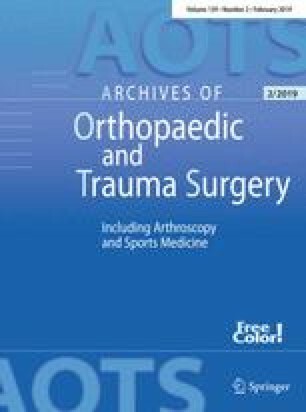 To evaluate the spontaneous healing capability of acute anterior cruciate ligament (ACL) injuries, conservative treatment was applied in a selected group of 31 patients, who had low athletic demands. Each patient demonstrated a continuous ACL on magnetic resonance imaging (MRI), from the original femoral attachment through the tibial attachment, and an area of high intensity was detected in the substance of the ACL. The injured knees were treated using an extension block soft brace without anterior stabilization for 2–3 months. KT-2000 and MRI examinations were carried out regularly during the follow-up. Twenty-three knees (74%) were revealed to be stable in the follow-up examination, with an average of 16.1 months elapsing since the initial injuries. The KT-2000 side-to-side differences of 20 knees were less than 3 mm, and those of the other 3 knees were more than 3 mm but less than 5 mm. MRI confirmed that 21 injured ACL out of 23 knees maintained a femoral to tibial attachment and showed gradual reductions in image intensity. The positions of the other 2 injured ACL femoral attachments were different from the original femoral attachment: one was attached to the posterior cruciate ligament, and the other was located at the lateral femoral condyle anterior to the original femoral attachment. Eight knees (26%) subsequently required ACL reconstructions due to instability. This study indicates that an acutely injured ACL has healing capability. It also suggests that conservative management of the acute ACL injury can yield satisfactory results in a group of individuals who have low athletic demands and continuous ACL on MRI, provided the patients are willing to accept the slight risk of late ACL reconstruction and meniscal injury.